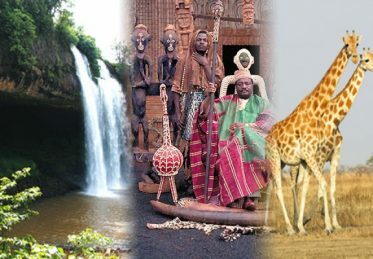 Cameroon is a touristic destination par excellence. Stretching from the luxurious shores of the Atlantic Ocean up the sandy and arid region of Lake Chad. Cameroon features almost all of the cultural attractions, landscapes and wildlife found elsewhere in Africa: green highlands of the grass fields in West, thick rainforests of the South and East, and vast savannahs of the Adamawa plateaus Truly All Africa in one country!Tourism is an all-year activity: hunting and safari can be practiced from November to May in the Northern part of the country, and all other touristic activities can be undertaken throughout the year in other regions. © Copyright 2019 - Embassy of Cameroon in Egypt - All right reserved.